Brisbane’s reputation as the live music hub of Australia is only getting bigger, with the number of gigs, festivals, and the opening of more live music venues, triple in recent years. From the institutions that we know and love to small neighbourhood venues, these are the best live music venues in Brisbane. 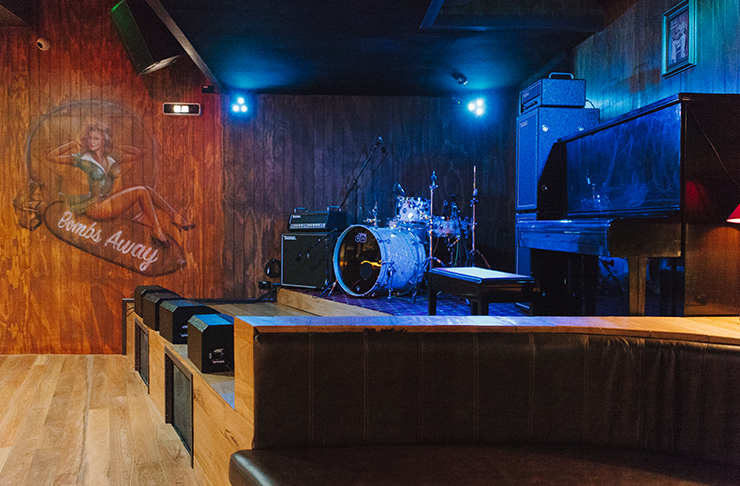 Situated in the heart of Brisbane’s live music hub Fortitude Valley, Black Bear Lodge is known for getting first dibs on live EP sets and intimate touring gigs. Black Bear's trivia nights, old-school dance parties, and '90s-flavour DJ sets have contributed to making this live music venue a firm favourite with musos and music appreciators alike. Housed in a former church in the heart of The Valley, The Brightside is an iconic venue on Brisbane’s live music scene. Home to Brisbane’s famous ‘Battle of the Bands’, The Brightside is known for its eclectic gig nights big and small, be it local up and comers or big-ticket tours. With a banging beer garden with a slew of pop-up food trucks, The Brightside knows how to start and end a great night of music. Serving up live jazz seven nights a week, Doo Bop Jazz Bar has some serious attitude—and the headliners to match. Kick back late into the small hours for dinner, cocktails, bar snacks and some soulful jams from some of the most impressive local and international artists. Lefty's Old Time Music Hall is Brisbane's answer to the honky tonks of the USA's of old. Home to knee-slapping country music and dive bar-style American eats, this a classic local bar that champions a wealth of live music seven days a week. The Flamin' Galah in Brisbane's CBD is the hottest live music venue. Open 7 days a week, The Flamin' Galah has local bands playing every night, serves up some cracking bar food and has a fully stocked back bar to ensure the good time keep rolling. Part rum bar, part causal eatery, part live music haunt, Milk Factory is one of Brisbane’s best live music venues. Aside from regular gig nights most nights of the week, Milk Factory’s Sunday Sessions are legendary and are a weekend stalwart. For the uninitiated, The Zoo is Brisbane's longest-standing live music venue/nightclub. The Zoo is a bar that caters to the more independent end of the musical spectrum, and in any week, the Zoo could serve up everything from hip hop, jazz, rock, and pop to acoustic, folk, dub, and reggae. The Tivoli has long been considered one of the best live music venues in Brisbane, playing host to both the biggest and up-and-coming acts. Known for its intimate atmosphere and grand, almost regal, decor, if your favourite band is playing in Brisbane, there's a good chance they'll be playing at The Tivoli. 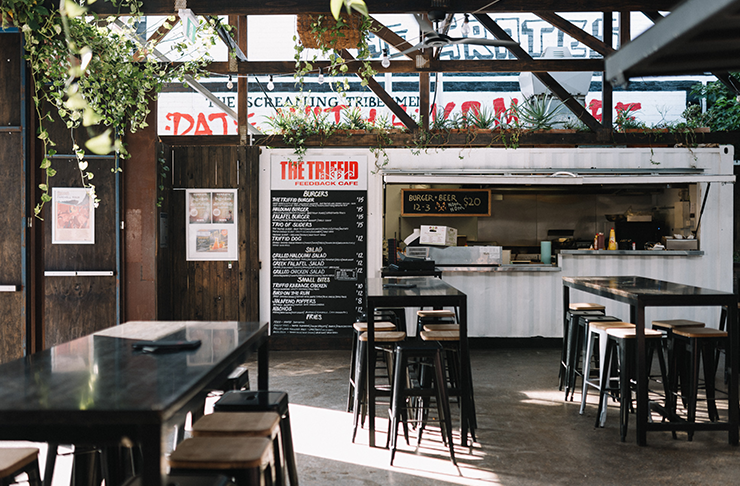 An old commercial hangar, The Triffid is a Brisbane icon for live music. The baby of Powderfinger bassist John Collins (a man who knows a thing or two about the live music), the 800-strong capacity space has bene home to the international elite alongside local and national up and comers for years and is wildly known for its fostering of emerging bands. Throw in a beer garden and it also doubles as a very decent bar. 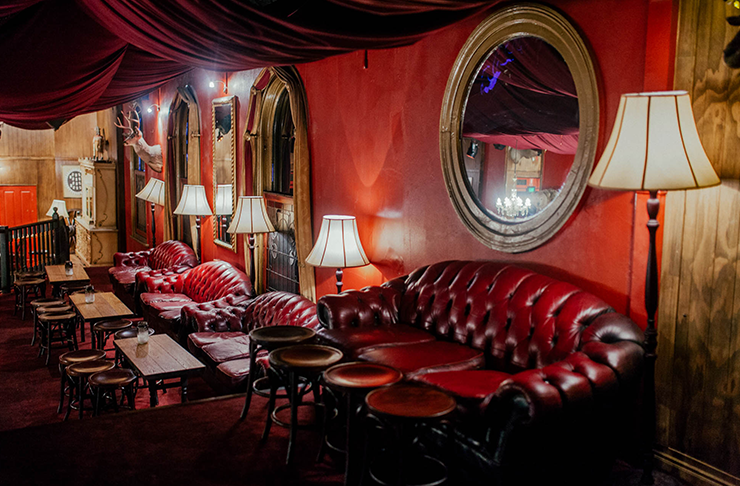 The Skukum Lounge has been around for a little while now, but we’re betting most of you are yet to check it out. This joint is IDEAL for solo or acoustic acts. It’s intimate and cosy and hidden away inside Ashgrove’s Junk Bar. The mountain cabin décor is cheesy in a charming kind of way and some really amazing artists stop by to showcase their talents. This three-level monster is a hub for musicians and other creative-types. The bottom floor features the live music space itself, which has a capacity of 300, while the top two levels has rooms that can be grabbed by the bands themselves to use for practicing (or sleeping), their managers and any small businesses involved in the arts. All the elements are in place for The Foundry to become a focal point for Brisbane’s music scene in the years to come. Channelling the New York underground is ultimate cool kid, Brooklyn Standard. This is the kind of atmospheric bar we would gladly spend many an evening regardless, but the fact there are acts performing six nights a week from 7:30pm makes it a must do. The stylish locale features the sounds of jazz, soul, funk, and blues. Check out the best music gigs on in Brisbane this month.